Equipment Rental in San Jose - A Tool Shed - A Tool Shed is your source for tool and equipment rentals in San Jose, CA. To learn more about our rental services call us at 1(800) 286-6574! If you’re going to be working on projects that you can’t complete from the ground, scaffolding is a safe and convenient solution. It is much easier to use than a ladder, especially when you’re going to be working at a height for an extended period of time with multiple tools. Scaffolding is among the equipment rentals we offer, and it is easy to use, even for novices. Here is a closer look at when you should consider renting scaffolding and how to stay safe while using it. Scaffolding can be used for any job for which your might use a ladder. However, it typically isn’t used for quick tasks but rather for jobs that would require you to stand on a ladder for an extended period of time. It is ideal for use when working on the roof, painting high levels of your home, working on a chimney, or doing other prolonged, elevated projects. For these jobs, scaffolding saves you from the inconvenience of repeatedly moving your ladder and gives you a platform on which you can keep your tools. When you rent scaffolding, inspect all of the pieces before assembling. When you finish the assembly process, test the security of the scaffold before climbing on it. 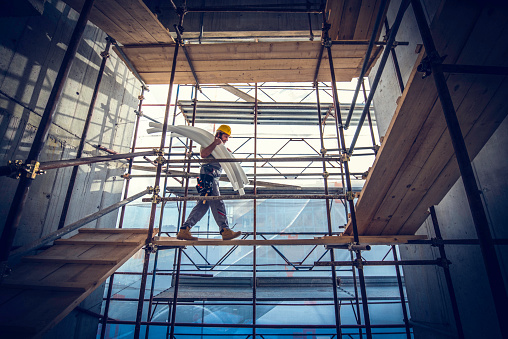 Always place the scaffolding on a safe, stable surface, and never use additional ladders on top of the scaffold. If your scaffold height will be higher than 15 feet, ask your rental company about tie-in procedures. A Tool Shed makes it easy for you to get the scaffolding you need to complete your work safely and efficiently. To reserve equipment rentals in San Jose, including scaffolds, call us today at (800) 286-6574. Generators are useful for projects in areas without power supplies and when your home loses power. However, it is important to use this tool safely to avoid carbon monoxide poisoning. Watch this video to learn more about safe generator use. Always use the generator outside, and keep doors and windows closed when it is in use. This will keep the carbon monoxide outdoors. If you notice symptoms of carbon monoxide poisoning, such as dizziness or nausea, stop the generator and seek help right away. If you’re looking for a generator in San Jose, call A Tool Shed. We offer a variety of tool and equipment rentals for jobs of all sizes. Find out more by calling (877) 890-2963. Adding a contrasting border to hardwood flooring will create a unique look while helping to break up your space. The contrasting border will highlight the center area and is the perfect finishing touch for a formal room or even an entryway. With the right equipment rentals, you can easily install hardwood floor with a contrasting border yourself. Here is a quick overview of the process. Before you begin, make sure you have all of the necessary materials to complete the job. This includes all of the necessary tools and equipment rentals. For wood for the flooring, you will need one dominant color of wood to use in the center section of the floor, plus different wood for accent strips, the border itself, and the perimeter. Some people choose to add tiles to the corners of the perimeter for an additional layer of color and texture. If you choose to use tiles, you will need those as well. Before you start actually installing the hardwood floor, you will need to decide what kind of design you want to have. It helps to use a large piece of paper for the center of the floor and then experiment with strips of wood you plan to use for the other parts of the flooring to get the exact look you want. After you know what kind of design you want, cut your pieces of wood accordingly using a table saw. To install the flooring, start in the center and work outward until all of the pieces are in place. You will need floor adhesive and finishing nails to keep the boards in place. After you have installed the floor, don’t put any furniture on top of it for 24 hours. You can walk on the floor, but try to keep the foot traffic to a minimum for the first day. Design your own hardwood floors with contrasting borders with equipment rentals from A Tool Shed. We also offer a huge selection of used equipment for sale in San Jose for low prices. Learn more about our rentals and equipment sales by calling (800) 286-6574. A chalkboard organizer is a stylish way to keep your family’s schedules on track and share other important household news. Although these organizers are expensive to buy, you can make your own easily with the right tools. Watch this video for simple instructions on how to make a chalkboard organizer. With rental equipment, you don’t have to buy the tools you need, which will help to make the project even more affordable. At A Tool Shed, we have all of the tool rentals and new and used equipment you need for projects of all sizes. To learn more about tools for rent in San Jose, please call (800) 286-6574. 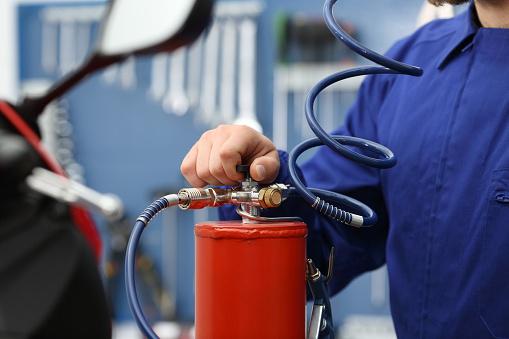 Air compressors are usually used for just a few purposes, such as pumping air into tires and powering tools that rely on pressurized air. However, you may be surprised at just how many things you can do with an air compressor, when you start thinking outside the box. If an air compressor isn’t on your tool rental reservation list now, these surprising ideas for using this common piece of equipment may change your mind. After you use a weed whacker, mow the lawn, or do some landscaping, you’re likely to have piles of weeds and clippings that need to be cleaned up. Instead of trying to rake up your yard waste or otherwise manually get it out of your landscaping, give the area a few quick blasts with the air compressor. Simply keep the pressure set to 30 psi or less, and you can clean up your yard in an instant. This trick will work in other spaces as well, such as inside a garage that needs to be blown out. Charcoal grills give foods a distinct flavor, but they can be frustrating because of the amount of time it can take to get the coals hot and the fire going. An air compressor can change that. Turn the air pressure down and point the pressurized air at the base of your starter flame to get ready to grill in minutes. Nothing says the holidays like snow, but that kind of winter weather is not the norm for everyone. You can get into the spirit for a holiday party or a neighborhood home decorating contest by using an air compressor to create a winter wonderland with artificial snow. A Tool Shed offers a variety of air compressors among our tool rentals in San Jose. Contact us today to make a reservation or for advice on picking the right size compressor for your job by dialing (800) 286-6574. A propane wand—also called a propane torch—is a handheld system that includes a propane tank and extended hose attachment that ends in a nozzle that emits propane-fueled flames. This tool can be handy if you are doing yard work and need to get rid of a large amount of weeds or otherwise need to perform a controlled burn. Propane wands allow you to precisely target things, like weeds, that you want to torch without the risk of starting a larger fire. The wand releases flames when triggered by you, so you don’t have to work with a continually burning fire, which could be dangerous to you and your property. 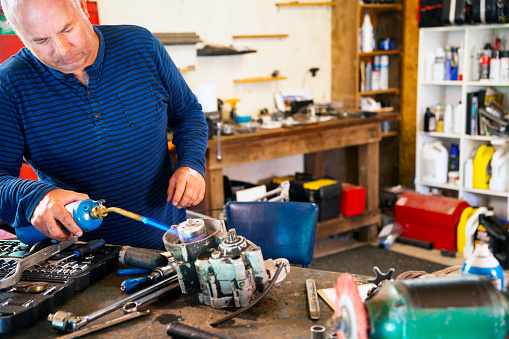 Although propane wands offer the ability to perform controlled burns, it is still important to take the proper safety precautions, including wearing leather gloves and protective glasses. If you think a propane wand could work for your project, contact A Tool Shed today to learn more about our rental tools. We also offer new and used equipment in San Jose for sale. To find out more, call (800) 286-6574. Chainsaws are invaluable tools for a wide variety of jobs, but they can also be dangerous when they are not operated properly. If you rent a chainsaw, there is a good chance that you don’t have a great deal of experience with them, so it’s important to take the time to learn how to operate this powerful tool safely. Fortunately, chainsaw safety is not difficult. As soon as you learn some basics rules, you will be able to use your tool confidently and safely. Operating a chainsaw with damaged equipment can lead to injuries. Before you use your chainsaw, inspect it carefully to look for signs of damage to the brakes, bolts, handles, safely shield, chain tension, and other components. The saw should be sharp, and there should be a full lubrication reservoir. Check the saw before each use, even if you only stopped briefly. You never know what kind of damage that wasn’t there before could happen while operating your chain saw. 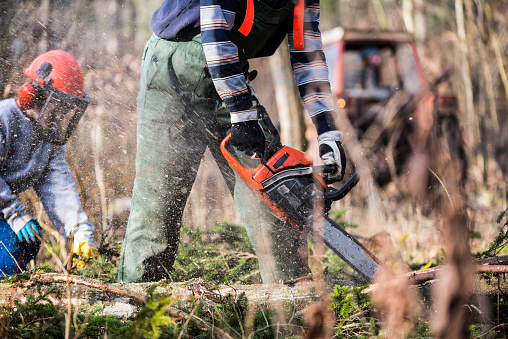 Protective clothing and gear will reduce the risk of injury when operating a chainsaw. You should have a hard hat, hearing protection, goggles with side shields, and gloves with a gripping surface. Wear cut-resistant pants or chaps and steel-toed, non-skid boots. Some operators also wear a face shield to protect themselves from debris. Start your chainsaw with at least 10 feet of clearance around you. There should be no pets or spectators in the area. Make sure you have a plan before you start cutting, and always take into account gravity, so you don’t get hit by any falling debris. Kickback can occur when you touch the saw’s tip to something you’re cutting, and pushback occurs when the chain becomes compressed and stops. These motions can cause you to lose your balance and control of the saw, so try to avoid triggering them. Keep both hands on the handle of the saw so you have more control. A Tool Shed offers multiple sizes of chainsaws as well as large collection of other types of saws for rent. To make a reservation to rent tools in San Jose, please call us at (800) 286-6574. If you need to drill through hard surfaces, from stone to beach glass, shells, and pottery, then you need a diamond-core drill bit. Diamond-core drill bits use water inside the hollow part of the bit to keep it cool and allow it to keep drilling without becoming clogged with debris. These kinds of drill bits are expensive, but fortunately, you can add them to your equipment rental reservation instead of investing in them yourself. If you’re considering using a diamond-core drill bit on your project, here is what you need to know. What exactly are diamond-core drill bits? Although they may not sparkle like diamond rings, diamond-core drill bits get their power from the precious stone. The bits contain diamond powder, which adds extra strength, allowing them to stand up to extremely hard surfaces. The bits are hollow, allowing the centers to be filled with water. The water swirls around inside the bit when the drill is in motion, which keeps the bit cool so that it doesn’t overheat. The water is also helpful in reducing the risk of the bit getting clogged. What surfaces require a diamond-core drill bit? Diamond-core drill bits are recommended for surfaces that are too hard for regular bits. This includes ceramic, stone, tile, glass, potter, and some types of hard wood, such as hickory and hard maple. Keep in mind that you shouldn’t substitute a diamond drill bit for a standard bit on softer surfaces. The bit is too strong and will destroy soft materials. Are diamond-core drill bits hard to use? Diamond-core drill bits aren’t complicated to use, but they are different from standard bits. They grind holes into surfaces rather than cutting holes. This means that the drilling process takes longer. The biggest mistake people make is assuming the bit isn’t working because it takes longer than they are used to. A Tool Shed has a wide variety of drills and drill bits available as rental equipment, so you can get the right tool for your job. Reserve your rental equipment in San Jose today by calling (800) 286-6574. A generator is a useful tool to have on a jobsite and at a home for a variety of reasons. Renting a generator is more attractive than buying one in many cases, especially when the equipment is going to be used on a jobsite. Should you consider renting a generator? Here are some of the reasons to consider renting this useful tool. The most obvious reason to rent a generator for a jobsite is so you can get power when you need it. For large sites, many companies choose to rent multiple generators, so that different areas of the site can get power at the same time. 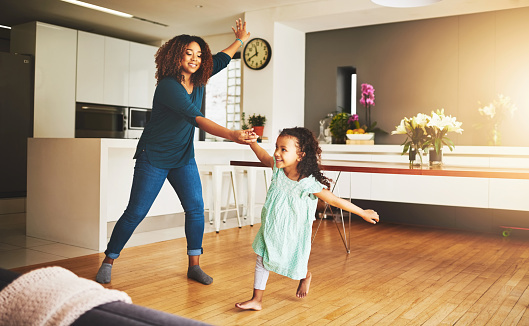 For homeowners, generators can come in handy when you know your power will be disconnected for a specific project or you know that there is a storm coming that could lead to outages. Renting a generator is preferable to buying one for occasional use because it is more cost effective and frees you from worry about maintenance. 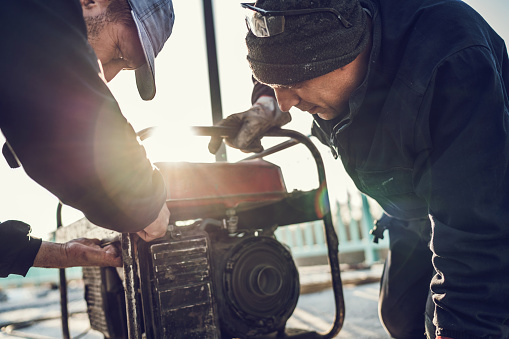 Call A Tool Shed to learn more about our equipment rentals and reserve a generator today. You can learn about our tools for rent in San Jose by calling (800) 286-6574.